← THIS IS Your “Come To Jesus” Moment! It’s Time for Some PUMA Action! Well, folks, we are finally, as LadyBoomerNYC says, Ready to Rumble! And roar, the way only PUMAs can. Yes, it’s the launch of…the New York Area PUMAs for Women’s Rights! 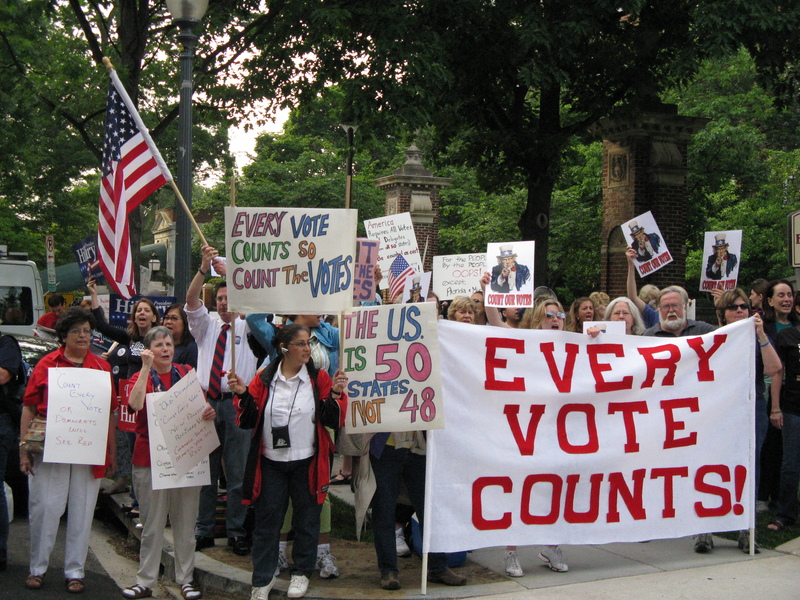 In 2008, protesters from all over the country made their voices heard in D.C. The PUMA movement was born spontaneously in the zeitgeist around the May 31, 2008 DNC RBC meeting in Washington, DC. We mobilized to action during the shocking events leading up to and as a result of the Democratic Party’s betrayal of the fair reflection of the voters. So, PUMAs . . . what are you doing now? We will have meetings, events and actions of our own, and we will also link to other groups and actions to which we’ve given our PUMA Roars of Approval! NYPWR’s leadership includes TPT/NY, LadyBoomerNYC, MadamaB and Sheri Tag. If you’re in the NY Area, including any Eastern states, and want to join us, please visit NYPWR, say hi, subscribe to our blog, and sign up for our email list! Click here for more info and tickets. Watch the amazing trailer! Don’t miss this award-winning documentary film about the partition of the Indian subcontinent, with NY PUMA, Director Sarah Singh. A New Way Forward, a coalition of progressive organizations, is planning protests all over the country, this Saturday, April 11, 2 pm EDT. Sign the pledge on their website and send a message to the President and Congress to break up the banks, fix them, and resell them to the private sector. NYC protest is in Union Square. Find a protest in your city and sign up! And….let’s not forget the awful “conscience rule” that Bush saddled us with. There is a 30-day comment period that must be exhausted before Obama does whatever he’s going to do about it. Let’s make sure he hears OUR point of view, shall we? Click here to email the HHS. (Sponsored by the National Partnership for Women and Families). Okay, PUMAs—it’s time to emerge from our chilly hibernation! Let’s go! We’re just getting warmed up! P.S. Hooray for the Vermont State Legislature! Equal rights for all! Glad to see that PUMAs are still connected and moving forward! The fight for women’s rights never goes out of style! The reason I put this up here was because this weekend, we can get into the streets and show our banking oligarchy that we do not accept their newest puppet, Barack Obama. There are protests all throughout the country, so you do not have to be in New York to make your voices heard. Col Jack Jacob this morning on Imus in the morning, mentions todays politicians are primarily media personalities. Col Jacobs is more focused on the U.S. Military Budget, and the Afghanistan War and our build up of troops. President Obama promised to increase our footprint in Afghanistan. Imus asked Col Jacobs out of all his campaign promises why did he decide to keep this one? Maybe we will outfit our troops with those little PUMAS in the news because apparently that is the only way our U.S. Military build up is going to get any attention. I keep reading the Tea Partys are racist…really how? That is the left blogosphere, this is the new era of race relations in America? Yes Our Elected Officials are Dishonest isn’t this a big duh moment? No this isn’t a race thing no matter who the President is this is an AMERICAN THING. I think Logistic Monster put it very well in Come To Jesus Moment Post. Are You Ready To Be Inventoried?